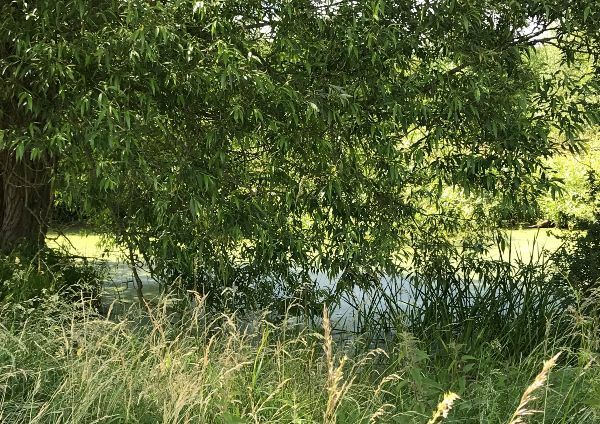 Hidden away in the south west corner of Wichelstowe, ecological contractors Keystone have been busy creating a new home for the developments population of great crested newts. The area known as the Western Receptor Site, was designed by landscape designers Bradley Murphy Design with ecological input from Keystone. As well as ecological works and new planting, fencing has been introduced to mark out the footpath connections which will allow residents to enjoy these areas once development in this area progresses. Three new ponds have been created providing ideal habitat for great crested newts. These ponds are already successfully holding water and along with the existing ponds in this area will allow the newts to thrive. The material generated from digging out these ponds has also been used to create banks around the edges providing opportunities for reptiles to bask in the sun. The improvements also include ten new hibernacula which comprise piles of logs covered in earth which provide opportunities for amphibians and reptiles to hibernate. The final step will be to plant the area around the ponds with over 14,000 marginal plants to be introduced during the next month. As well as introducing new ponds, the vegetation around the existing ponds has been thinned out to allow light to reach the water. This has already had an impact with the latest surveys already showing an increase in great crested newt activity within the ponds. The most significant change has been the planting of thousands of new trees. Over 16,000 smaller, woodland mix trees and shrubs have been planted including oak, willow, hawthorn and blackthorn as well as holly and honeysuckle which will form both new woodland areas and new hedgerows. 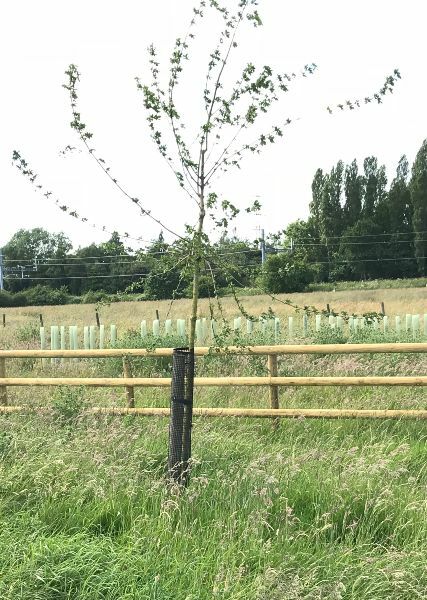 These have been supplemented by 170 larger standard trees including oaks, field maples and a range of orchard trees to create more immediate impact. To encourage birds and bats to nest in this area bat, barn owl and kestrel boxes will also be installed in the next couple of weeks.